GERD (aka acid reflux or heartburn) affects many people and has numerous causes. Knowing the causes of the condition can help in its prevention and treatment. 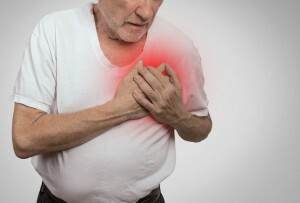 Read on for an explanation of the various causes of GERD (both common and uncommon) as well as some options for treating the condition. GERD is an acronym for Gastro-Esophageal Reflux Disease. It is better known by the more common term “acid reflux.” The condition occurs when stomach acid or bile backs up into the esophagus, causing burning, pain, and other symptoms. Eating large meals before bed. This is not an exhaustive list, as there are many potential causes of GERD. Some patients may experience reflux after eating specific foods, or because of genetic factors. In any case, accurately diagnosing the cause of the heartburn is an essential first step towards effective treatment. Approaches to treatment differ widely based on what’s causing the condition and its severity (Severe GERD caused by a hernia may require surgical treatment, while other forms can be controlled by dietary restrictions, lifestyle changes or medications for example). GERD can sometimes be treated with simple lifestyle and dietary changes (cutting down on spicy foods, not lying down after dinner, etc.). But some forms of GERD are caused by other conditions that must be treated surgically. If you are suffering from chronic or recurring acid reflux, make an appointment with a GERD specialist to get to find out what’s causing the condition and investigate options for treatment.